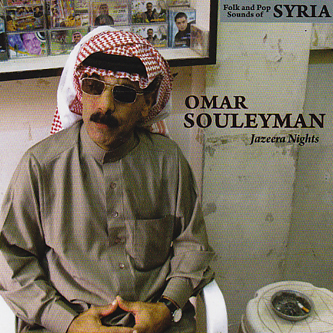 Omar Souleyman is quite possibly the coolest man in the world right now. His previous album (and one stopgap tour-album) for Sublime Frequencies ranked highly in respective end-of-year charts and laid the ground for an immensely successful European tour in 2009, bringing him into contact with an unsuspecting but hugely receptive Western audience and claiming die hard fans from Damon Albarn to Shackleton. 'Jazeera Nights' ups the ante yet again with a scorching set of nine Syrian Dabkes (regional folkloric dance and party music) culled from tapes dating between 1995-2009. Again, all tracks feature synth-whizz Rizan Sa'id, the second coolest man in the world right now and the figure responsible for Omar's electric backing tracks of florid key work and frenzied percussion. 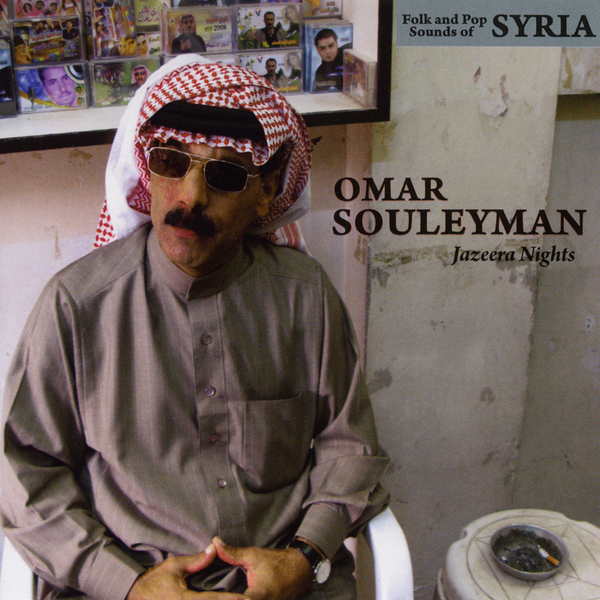 They're joined for a few tracks by the distinctive twang of Hamid Souleyman's Bouzouk and poetry from Mahmoud Harbi, Ahmed Al-Samer & Hassan Hamadi. Their combined effect is simply potent, striking a nerve with nearly all who encounter their mesmerizing, fiery and unusually futuristic sound. Their musical purpose is rooted in functionality; they play heavy dance music at numerous weddings and other celebrations, but in the most exotic manner possible, to western sensibilities anyway. The highlights of 'Jazeera Nights' for us have to be the quick-stepping urgency of 'Hot Il Khanjar Bi Gleibi (Stab My Heart)' and those killer subbass swoops (where the f*ck did they come from!?!? ), the hypnotic scales of 'Labji Wa Bajji Il Hajar (My Tears Will Make the Stones Cry)' or the double headed 10 min medley epic of 'Mandal/Metel Il Sukkar Ala Il Shai (I Don't Know/ Like the Sugar in the Tea)', but those who're smitten with his other albums will equally find much more to relish. Very highly recommended.